Hello folks. Hope you had a good week. I am quite surprised at the number of books I was able to read this week. Some were better than others and some shorter than others but I am still pretty chuffed at what I was able to read. I am however only going to tell you about 2 of them. 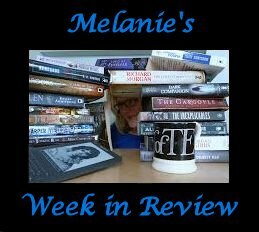 I read one more book from the SPFBO 2016 that I need to tell you about and another I read a few weeks ago and forgot about (forgetful Melanie!). So what did I read? I read Urban Witch by R.L. Giddings who submitted this book to SPFBO 2016 but if I am honest (and I try to be) I wish they hadn't. Read on to find out why. Urban Witch tells the story of Bronte who finds herself moving into a new flat after starting a new job at The Bear Garden. What she doesn't realise is that she will soon be embroiled in a murder mystery that puts herself and many others at risk. She needs to find an ancient relic before it falls into the wrong hands and time is ticking. I try to balance my reviews and for every negative I try to find something positive - interesting characters, good plot device, interesting world view....something! 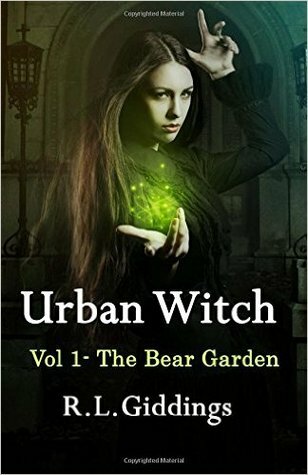 It is a challenge for me to find something positive about Urban Witch as I just found it a bit too bland and uninteresting. I felt the story, the characters and the dialogue were unchallenging and immature. Several pages were dedicated to Bronte getting the keys to her new flat. I couldn't really understand why the author would find this interesting. I also didn't think the story flowed that well from chapter to chapter and the ending had a huge hole in it - so big that a character who had died actually turned up on the last page with no explanation as to why. 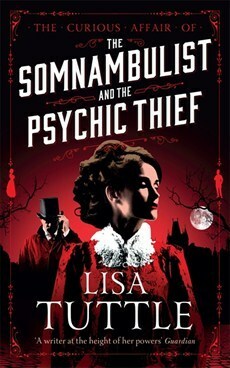 The second book I want to tell you about is The Somnambulist and the Psychic Thief by Lisa Tuttle. I actually read this book a few week ago and got caught up in SPFBO and forgot to tell you about it. Tuttle tells the story of Miss Lane who finds herself disillusioned with the Physical Society and as a consequence leaves their employ. With no job and no prospects of finding one she lands in London and on the doorstep of Jasper Jesperson a wannbe detective. Miss Lane is desperate for work so joins Mr. Jesperson as his assistant. Their first case - and possibly their last - involves a somnambulist (a sleep walker for those who don't know...I didn't) and disappearances in London's psychic community. It's a perilous journey ahead for these two budding detectives and luck may not be on their side. Like any good mystery you need to read it yourself to find out 'who dunnit'. Overall, I thought this book was a solid 'ok'. I was neither gripped nor really bored. I did think it dragged in a few places but rather like Miss Lane, Jasper Jesperson was a bit 'wet'. For those who aren't acquainted with this British saying it means that someone is dull. I did guess who the baddy was and how the plot would work out. I think if I had written this review a few weeks ago I don't think I would have been so generous with my review but in comparison to some of the books I have read recently then this was a a best seller in comparison. That is it for me this week. Short and sweet! I have an couple of excellent books to tell you about next week so stay tuned. Until then Happy Reading! Some good looking books. Happy reading.